ASPNetSpell (found in AspNetSpell.dll ) can be used to add spellchecking to many types of VB.Net project. 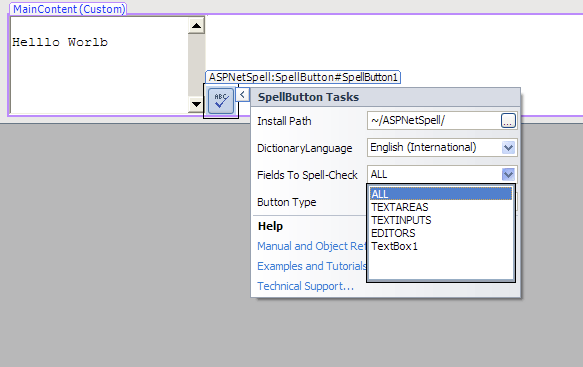 ASPNetSpell is a library allowing VB.Net developers to use to add and customize spellchecking for ASP.Net web pages. ASPNetSpell is the industry leading standard solution for .net enabled web spellchecking - and is favored by Fortune 500 companies and world governments including the US Federal and State governments. Its popularity largely stems from being a leader in stability, security - and having a library of 30+ free dictionaries (including Legal, Engineering, Scientific and Medical terms). For other g VB.Net spellchecking solution, these dictionaries can cost thousands of dollars. ASPNetSpell is designed to work beautifully inside Visual Studio. You can visually drag and drop “SpellTextBox” “SpellAutomator” and “SpellButton” controls directly into your MVC or Web Forms applications. 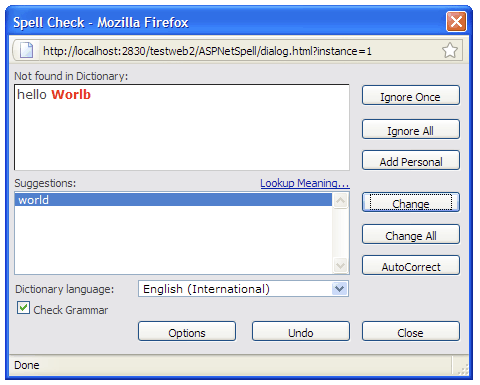 The spell-checker can then be customized using VB.net code. “SpellTextBox” extends the normal TextBox control - adding spell-as-you-type functionality for EVERY major browser including legacy IE. In browsers that already have spellchecking - you can use VB.Net code to customize the spellchecking vocabulary and user experience. “SpellAutomator” works similarly to “SpellTextBox” but works in abstract. 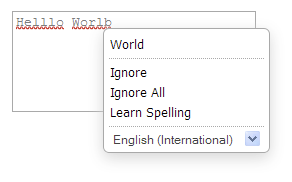 You just drag it onto your page - and automatically all textareas and input have spellchecking added. 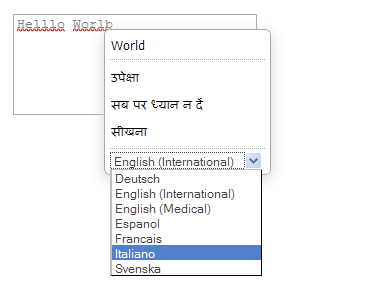 Used in a header or footer - this is an ideal way to add spellchecking as an upgrade without editing an existing app. “SpellButton” allows VB.Net developers to create buttons this open a spell-check-in-a-dialog-window experience similar to that seen in OutLook and MSWord. This option is very robust is it can target almost any HTML DOM element or Control, and is not demanding on server resources.